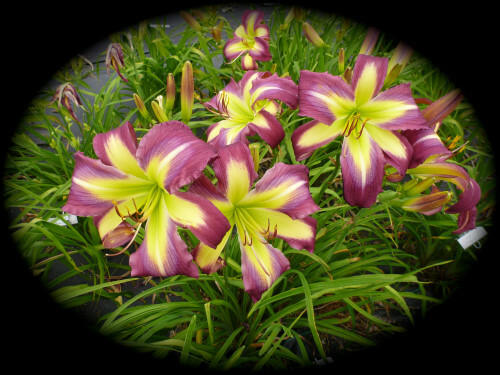 Large burgundy open form bloom with violet purple eye with twinkle midrib and large yellow-green heart. Northern hardy (survives zone 4 winters). 3 way branching, 14 buds. 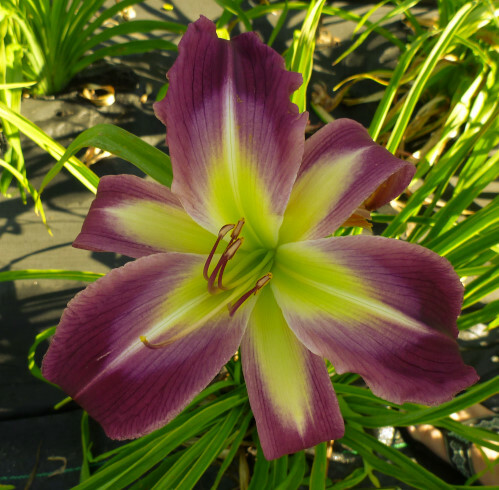 Seedling 5.64. (Morpho Butterfly x Rose F Kennedy) Fertile both ways. There are lots of RFK kids being introduced. I was “in a quandary” about whether to introduce mine, but others pointed out that it is northern hardy (more than RFK) and they encouraged me to offer it.